The Simpsons is an animated sitcom that first aired on December 17, 1989 and continues to air to this day, making it the longest running non-news U.S. primetime series ever. The series revolves around the core Simpson family and the expansive supporting cast which surrounds them in the fictional city of Springfield. From August 21 to September 1, 2014, cable network FXX aired the entirety of The Simpsons within 12 days, titled Every Simpsons Ever. After the marathon, the entire series will still air on the network and be available to stream on-demand via FXNOW. On September 22, 2016, FXX announced that they would have the marathon again. That marathon ran for 13 days, and included the first four episodes of Season 28. 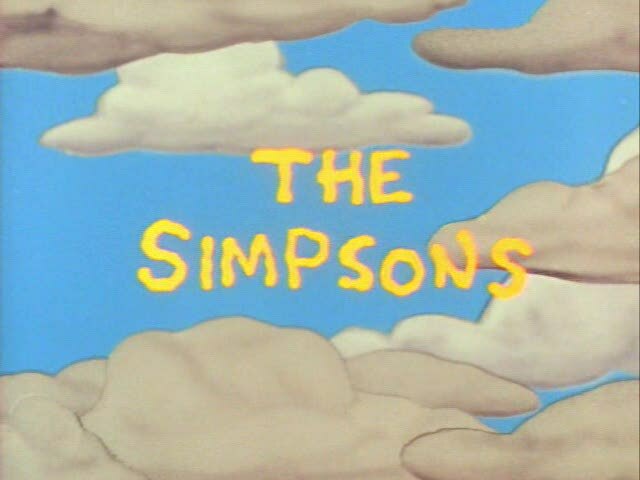 With its 21st season premiere on September 27, 2009, The Simpsons surpassed Gunsmoke as the longest-running American scripted primetime TV series in history, although as of the 28th season finale (the show's 618th episode) on May 21, 2017, it had still produced fewer episodes at that point than Gunsmoke (which produced 635 episodes over its 20 seasons) had; that number was surpassed with the 636th episode "Forgive and Regret", which aired during Season 29 on April 29, 2018 (the surpassing of this milestone was marked in the episode's opening sequence with a gunfight in the streets of Dodge City between Maggie Simpson and Matt Dillon, in a parody of the iconic Gunsmoke opening credit sequence). The series is currently renewed up through Season 32, meaning it will continue through at least 2021. Though the episode Simpsons Roasting on an Open Fire was the first appearance of the family in a 30-minute format, the concept behind the series debuted in a much shorter form on The Tracey Ullman Show. Series creator and Life in Hell cartoonist Matt Groening was called in to pitch a version of Life in Hell that could be animated and broadcast, but once Groening realized that this would require him giving up publishing rights to his comic strip, he quickly sketched out what would become the first incarnation of the Simpson family and named them after his own family. His idea was accepted by James L. Brooks as a suitable replacement for what he was originally supposed to pitch and he was told to go forward on the shorts. In the first season of Ullman's variety show, a more crudely drawn version of the Simpsons appeared as bumper segments alongside a quickly forgotten animated short which was left in the proverbial dust after The Simpsons began to gain popularity. In the beginning, these shorts were written entirely by Groening with the aid of several animators from Klasky-Csupo. The shorts would continue to be broadcast until the end of the third season when FOX allowed Groening and Brooks to develop the shorts into a full series. The series quickly blew up in popularity, particularly during the early 1990s when "Bartmania" swept the country, leading to the extreme merchandising of the characters, particularly Bart and Homer. The first season of the series drew an average of 13 million viewers in the United States alone, a number that allowed the fledgling FOX network to catapult into the big leagues, although the series suffered when executives programmed it against the wildly popular Cosby Show. However, the popularity of the series wasn't seen as a positive force in television. President George H. W. Bush and his wife Barbara Bush openly criticized the program, saying that they wanted families to be "more like The Waltons and less like The Simpsons." On July 27, 2007, the first feature-length Simpsons movie was released theatrically after being in creative limbo since the season four episode, Kamp Krusty, which was originally considered as the plot of a full movie. Groening originally created the family as an alternative to what was being displayed on the typical American sitcom family in that the Simpsons are a functional dysfunctional family. In an early interview with Entertainment Weekly dating back to 1993, Groening commented that his goal was to offer "an alternative to the audience, and show them there's something else out there than the mainstream trash that they are presented as the only thing." As a result, while the series at its core is a simply story about a family in American society, there are deliberate messages being delivered with their adventures. Homer's employment in a nuclear power plant gives writers the ability to comment on environmental issues, Springfield Elementary is used as a backdrop of looking at education in America, Reverend Lovejoy and his church allow for religious discourse which at one point even included Homer having a conversation with a suspiciously five-fingered god in Homer the Heretic. However, the series is not technically topical like South Park due to the time it takes to produce an episode, instead it examines broad social messages, usually through the eyes of Homer or Bart. Some have observed the social content and philosophy of the series as nihilist, due to the overwhelming corruption and incompetence of those who run the town. Mayor Joe Quimby is a womanizer, the police force is frequently ineffective, Rev. Lovejoy is often portrayed as bored and indifferent towards his congregation and corporate owners like C. Montgomery Burns are shown as out for greed and greed alone. However, beneath the somewhat bleak outlook, those beneath that specter are shown as unique and nuanced people who reflect average Americans rather than cartoonish caricatures. For reasons of size, only the most prominent character voiced by each actor is listed in this table. For a full listing of Simpsons characters, see the character listing. This page was last modified on 10 April 2019, at 21:50. This page has been accessed 25,818 times.